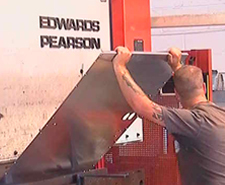 We have used Edwards Pearson CNC press brakes for many years to fold up our longer sheet metal components. 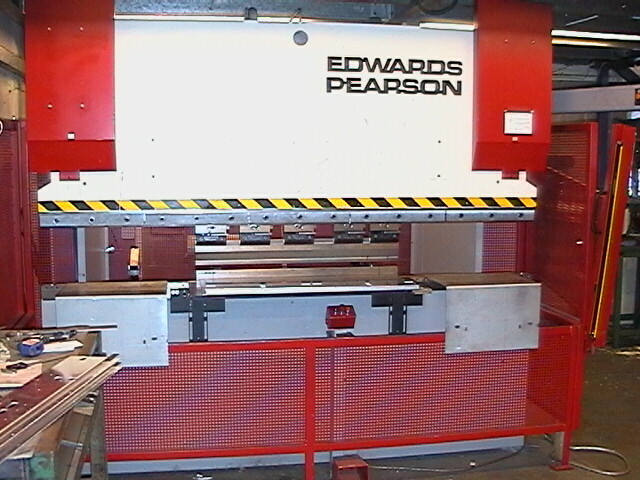 Both our PR3 and PR6 press brake machines have the capability to fold sheet metal work from 1mm to 2.5M in length and from 0.4mm reflector aluminium to 10mm stainless steel having a maximum hydraulic pressing force of up to 65 tonnes. With CNC programmed bending cycles stored on the machines computer and up to 6 axis CNC back gauge systems these machines are both accurate and reliable when it comes to repeat batch work. Both machines are hydraulically powered allowing us to have a precise control over the angle of any bend you need for your design. 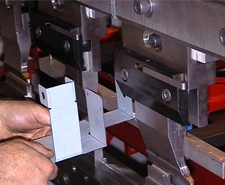 We have tooling for standard angles, z forms and safe edges up to 2.5M in length. 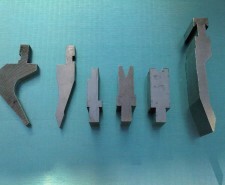 We can also source special form tools if you need a non-standard section for your design. When curved sections are required we can program our CNC press brakes to simulate the curve with a series of short flat sections (multi-bends). These sections can be adjusted to give the best compromise between the look of the finished components and the cost of the process, more bends with shorter flat sections will produce a better approximation to a curve but take longer and as ever, time’s money. 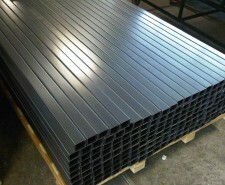 You can see here only a small cross section of the many 1000′s of sheet metal projects we have produced, please contact us to discuss further your current sub contract engineering projects and we will be happy to offer you help on the best design to reduce cost in manufacturing. In addition to these CNC press brakes we also have 2 Trumpf 7036 CNC press brakes, one of the fastest machines in the world designed specifically for CNC bending small sheet metal components, under 1M in length. Please take a look at our CNC bending tool data table to see more detailed information on the bend sizes of sheet metal components that be achieved with standard V block bend tooling. If you cannot find what you are looking for in the standard V bend tooling shapes please contact us and we will be happy to discuss further your project requirements.